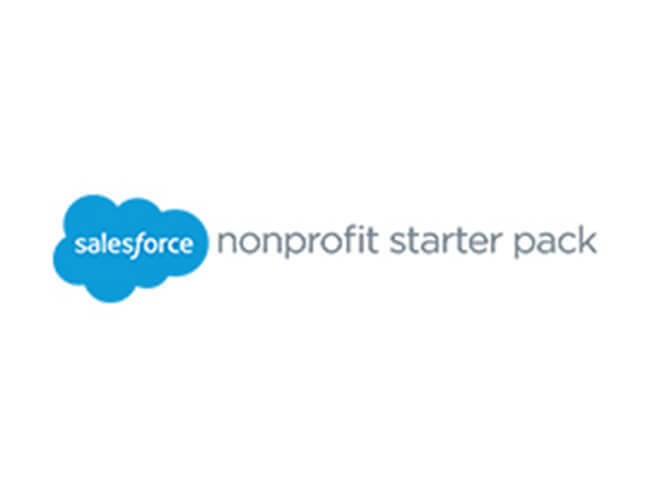 The Nonprofit Starter Pack 3.0 (NPSP 3.0) is a set of managed packages installed on Salesforce to customize the platform for some common nonprofit use cases. It is the most current version of the Nonprofit Starter Pack, and it has some key improvements and new features compared to the previous version, the NPSP 2.0. Beyond this, a key advantage of the NPSP 3.0 is that it automatically receives updates from the Salesforce Foundation, so that you receive bug fixes and new functionality without needing to install new packages. Furthermore, the older NPSP packages are no longer supported by the Salesforce Foundation; while they will continue to function as they currently do, they no longer receive updates or bug fixes. If you received your Salesforce instance during or after August, 2014, you are already on the NPSP 3.0. If your organization has been using Salesforce since an earlier date, you may be using an older version of the NPSP. To check which version you are using, click “Setup” in the header and then locate “Installed Packages” in the column on the left. Look for a package called “Contacts & Organizations” or “Households”. The version number here will indicate which version of the NPSP you are using. If you are interested in upgrading to the NPSP 3.0, read here for further assistance. This feature overview focuses on the features that were added to the NPSP 3.0, compared to the functionality already available in the previous version of the NPSP (NPSP 2.0). As such, this overview does not go into detail about general donation management, contact management, or other functionality that was available on the older packages. Below, we’ve identified key new features of the NPSP 3.0 that were available when the package released, or that have been added in one of the regular updates to the system. Prior to the NPSP 3.0, nonprofits on Salesforce had to either have a bucket Account for all household contacts, or create individual one-to-one Accounts for each Contact, and then use a custom object, Households, for tracking donor Households. Now, the NPSP 3.0 allows you to better leverage Salesforce’s standard data model with Household Accounts. Household Accounts are a more logical data model than a bucket Account or one-to-one Accounts, and allow you to take advantage of standard Salesforce functionality such as roll-up fields for Opportunities and related lists of Activities for any Contacts within the Account. The NPSP 3.0 has advanced default naming functionality for Household Accounts, with several pre-set formulas to choose from as well as the ability to configure your own custom default Household Account naming conventions for the Household Account, Formal Greeting, and Informal Greeting. With the shift to Household Accounts, the NPSP 3.0 includes more advanced functionality for affiliation management. Now, each Contact can have a Primary Affiliation indicated– typically, this will be the Contact’s employer. When the Primary Affiliation lookup field on the Contact is populated, the system will automatically create an Affiliation record linking that Contact to that Organization, with the Role field populated with the Contact’s Title. If the Contact’s Primary Affiliation ever changes, simply update the Primary Affiliation lookup field on the Contact record, and the system will automatically mark the previous Primary Affiliation record as “Past” and create the new, current Primary Affiliation record. This enables your organization to easily track affiliation for history for Contacts while leveraging the strengths of Household Accounts. The NPSP 3.0 has detailed address management functionality, allowing you to track and verify multiple addresses for Households and Organizations. This can be used to retain historical addresses over time, or to track seasonal addresses for your donors in addition to their home address. Additionally, the address management tool has a built-in integration with several different address verification services (Google, Cicero, and Smartystreets). Activating the address verification feature can help to standardize your addresses and keep your data clean. Much like the expanded naming conventions for Household Accounts or Households, the NPSP also has configurable naming conventions for Opportunities (Donations), allowing you to configure specific naming conventions for different Opportunities based on attribution and record type, with the ability to configure date format and name format. This enables you to set default names for your Opportunities based on criteria, without needing to set up separate workflow rules for each type of Opportunity that should have a different default name formula. In addition to support for managing donations from individual donors that was possible in NPSP 2.0, NPSP 3.0 had added functionality for Grants Management. This includes custom fields on the Account and Opportunity objects for tracking Foundation and Grant Details, as well as the ability to track individual Grant Deadlines and multiple Payments related to each Grant opportunity record. These added features will support your development team in managing each grant through its entire life cycle. Allocation management is supported in the NPSP 3.0 with custom objects for tracking General Accounting Units and Allocations. Donations can be designated to a single GAU, or split between multiple GAUs on the basis of a dollar amount or a percentage. The totals allocated to each GAU are displayed on the GAU record and can be reported on as well. Additionally, you can configure automatic allocations for recurring gifts, and set default allocations based on campaigns and for your organization as a whole. The NPSP 3.0 Data Import Template simplifies the process of importing data into your Salesforce instance. Using the template, you can use a single spreadsheet to import an Account with a related Donation (Opportunity), Payment, and up to two Contacts per Account. Additionally, the data import template checks your imported data for duplicates, to ensure that you aren’t recreating a contact that already exists in your Salesforce instance. The template is configured with the standard fields that would be tracked for these objects, and you are able to add additional custom fields to the import template as well. The import template can make it much faster and easier to import donor data– without the template, you would have to separately import each different object (Accounts, Contacts, Donations, etc. ), and between each step ensure that you were capturing the IDs from the new records so that the imported records related to each other correctly. By using the Data Import template, you can streamline your donor data import process. Out of the box, the NPSP 3.0 has configuration to allow you to use standard and custom objects in Salesforce1. This includes a set of mobile layouts and pre-configured quick actions, so that your users can create or update Household and Organization Accounts, Contacts, and Donations from the Salesforce1 app on their mobile device with little-to-no additional configuration work by the administrator. For developers, the NPSP 3.0 offers much more granular control over triggers and the order in which they fire. This increases the flexibility of the code and allows you to ensure that any customizations that you write for your Salesforce instance fires exactly when you want them to, in relation to the pre-existing triggers. It also simplifies the process for disabling any NPSP 3.0 triggers that you do not want to use because they interfere with your own code. Additionally, this new method for managing triggers within the NPSP 3.0 allows your database to operate more efficiently and speeds up the behavior of the NPSP. This overview has listed some of the most significant features and improvements in the NPSP 3.0. For more information about the package and how to upgrade or install, visit the Power of Us Hub.